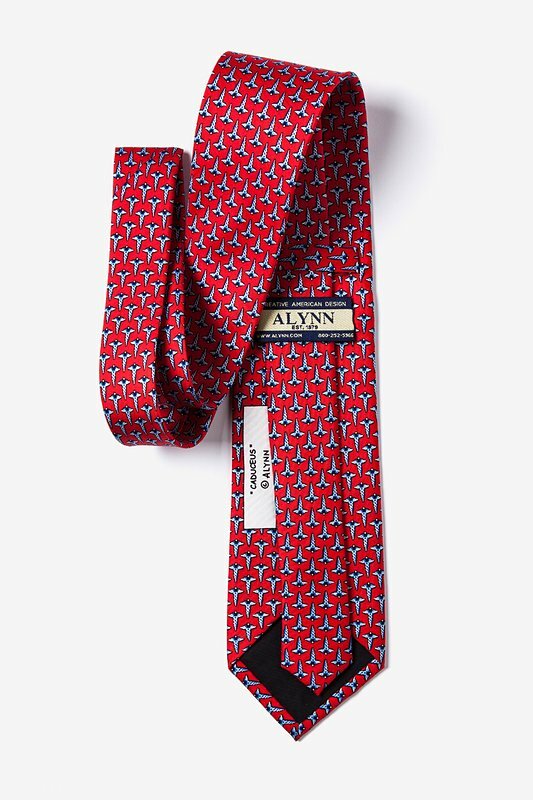 Sport your medical profession with this Alynn Neckwear 100% silk tie. 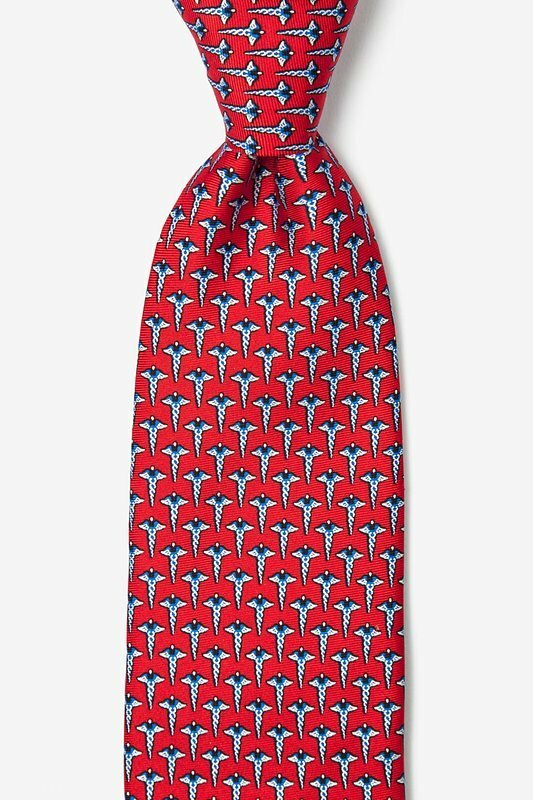 Featuring mini caduceus in silver and blue atop a bold red background, this occupational neckti... read more Sport your medical profession with this Alynn Neckwear 100% silk tie. Featuring mini caduceus in silver and blue atop a bold red background, this occupational necktie shows your patients that you are trustworthy and take great pride in your profession. It also makes for a thoughtful gift for your favorite doctor, nurse, or medical student.